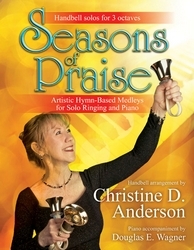 Christine Anderson's level of performance excellence in solo ringing is unparalleled in the handbell world. 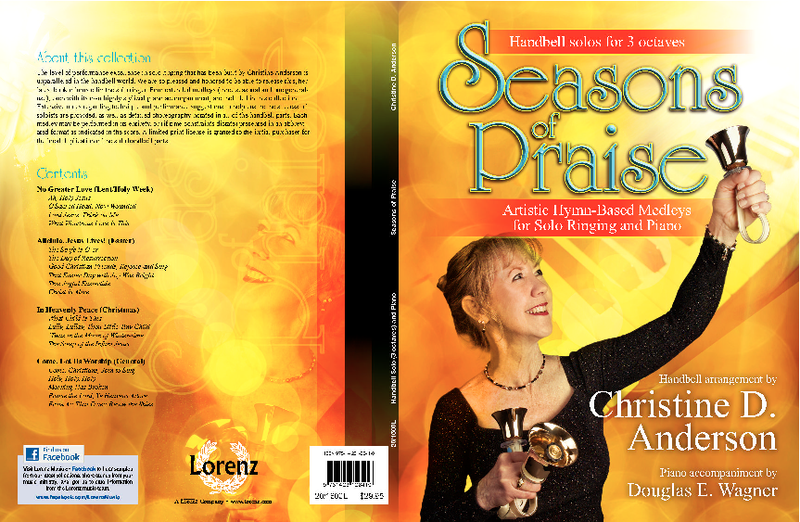 We are pleased and honored to be able to release this, her latest book of music for the solo ringer. 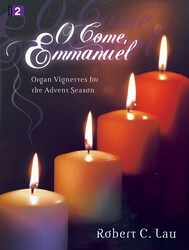 Four extended medleys (three seasonal and one general-use), each with its own highly stylized piano accompaniment, are included in this collection. 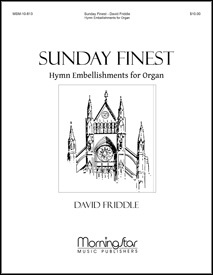 Extensive notes regarding technique and performance suggestions are provided to help ensure the success of soloists, as well as detailed choreography notated in all of the handbell parts. 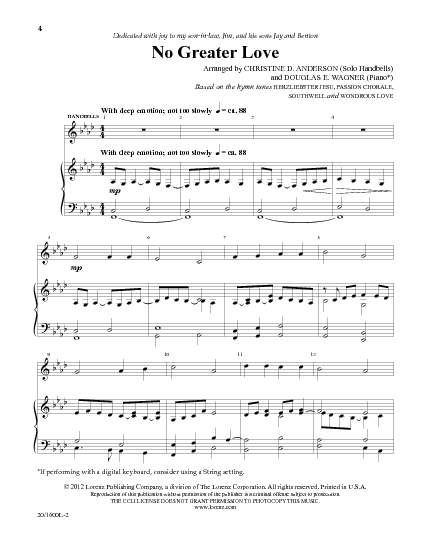 Each medley may be performed in its entirety or presented in an abbreviated format as indicated in the score. 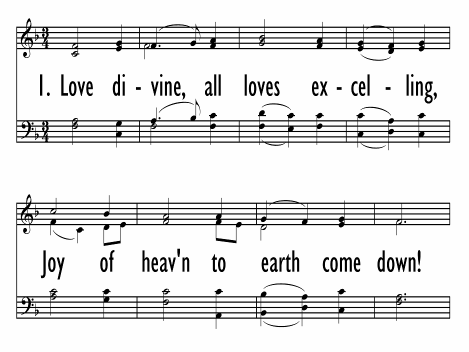 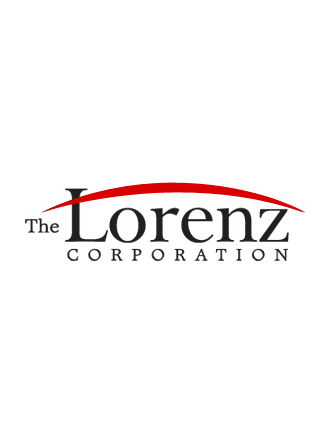 A limited print license is granted to the initial purchaser for local duplication of the solo handbell parts.